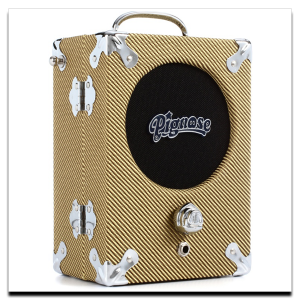 The Pignose 7-100 guitar amplifier is the answer to the worldwide demand for a high quality, economical and completely portable amplifier. It’s powered by six AA batteries (not included) or by an optional AC adapter which can be stored inside the amplifier case. The Pignose 7-100 gives the electric guitar the same mobility as the acoustic, and it weighs only five pounds! You can attach a standard guitar strap and sling the Pignose over your shoulder. With a Pignose, you can practice anywhere at any time. It features a full array of tones from clean to crunchy. 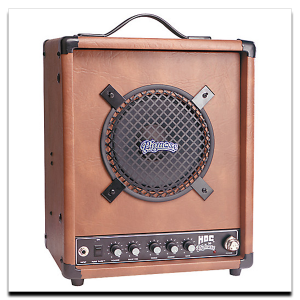 The Pignose 7-100 combines economy with quality and will never outlive its usefulness when you buy up to bigger amps. It will always be handy for traveling and for working on quick ideas on the road. And it has a pre amp out jack! 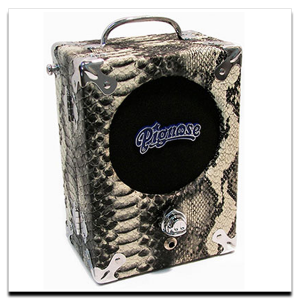 The Pignose 7-100 sound is so good that many players use it as a preamp in stage and studio performances. This is done by sending the pre amp out signal to a bigger amp or PA (for stage performances) or to the recording console (for recording). This is the one that started it all more than thirty years ago. 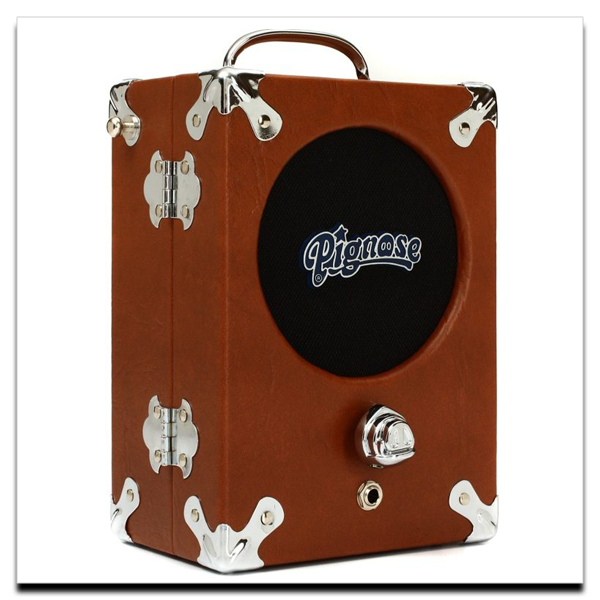 The powerful little Pignose, with that distinctively funky Pignose sound, has been on call in countless recording studios, rehearsal halls, dressing rooms, dorm rooms and backyards around the world since the rockin’ seventies. 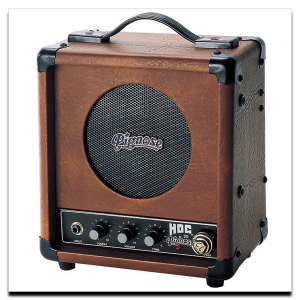 Get tones from clean to pig-filthy with the turn of the coolest volume knob in the world. 5 watts of gigantic earth shattering power, a 5″ loudspeaker, AC/DC operation. Requires 6 AA batteries (not included) or optional AC adapter.